Life Beyond Limits Coach Training is unique for three special reasons. The first reason is that you will be learning from a Life Coach that has not only coached for over 9,000 hours, he also built a large six-figure coaching practice in his first year. He is the author of 2 highly quoted best-selling books that all coaches would benefit by reading and he will not only teach you how to become a great Life Coach but also how to become a successful business person as well. 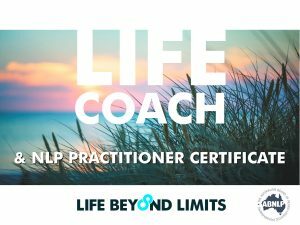 While the Life Coaching certificate gives you all the tools you need so that you can now coach, the NLP will transform you and give you the best transformational tools available today to help to transform your clients. What to charge and how to charge for your services? How to position yourself in a niche that leads clients to you? What is the current, most cost-effective and best lead generation system that you can use to grow your client base? How to set up an administrative system that saves you hundreds of hours of office work? Where to position yourself geographically for both economy and scalability? How to reduce your costs and increase your margins? How you can easily write your first (or next) book to attract clients? How to pay for all your Life Coach Training in your first month! While our Life Coach Certificate program runs for over 12 months, you will be able to practice as a coach after completing the ‘Live Intensive Training!’ So that means, once you have completed listening to the ‘Pre-Training’ Audios and completed the live training, you will know how to coach a client to success. Then over the next 12 months, you will continue to practice your new Life Coaching skills and we will continue to refine and add to your skills, PLUS teach you the business and the vital ‘setting up a practice’ skills to ensure that you not only do it well, but do well doing it. 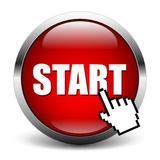 How to find out more or to get started? Register your interest by completing the form below and we’ll have our Director of Coaching and Training give you a personal call to answer all of your questions or call us on +613 8669 1121. After registering for our next student intake, you receive our Life Beyond Limits Life Coaching PreTraining Pack that includes 80+ audio programs that you can listen to and start learning some really cool stuff; how your brain works, how the neural pathways in your mind begin and how to change your thinking completely right down to the details of setting up your coaching business. Then, you attend live trainings with our Director of Training and Coaching, Rik Schnabel. He’s been coaching and training now since 2002 and created a six-figure coaching practice in his first year! With over 10,000 hours of coaching and years of business experience, you’ll be learning from our best. He’s Australia’s #1 Brain UnTrainer and author of many best-selling books including, The Secrets to Creating a Life Beyond Limits, The Power of Beliefs: 7 Beliefs That Will Change Your Life, ROAR! Courage: From Fear To Fearless and The Life Coach Millionaires. You’ll be in good hands. To help you along your path, you’ll also enjoy and learn from real life coaching, where you coach and are coached so when you start coaching in your practice, you’ve had loads and loads and loads of practice. Not only that, you will join our community of coaches where you will get coaching for the rest of your life – or for as long as you want it. There are the slow coaching models and there are the accelerated coaching models. I don’t know about you, but if I’ve got a slow road or a fast road to get there, I’d prefer the fast road wouldn’t you; our students do too. So we will also teach you Neuro Linguistic Programming (NLP)? This is an opportunity to learn the science of NLP AND Coaching in one power-packed course! At the end of our Level I training, you will have all the skills you need to start coaching. The skills you will learn will place you around the $150 to $200 per hour mark. After completing our Life Coach & NLP Practitioner Certificate, your first 20 coaching sessions will pay for it. So that means your first one or two clients will pay for your entire training! In fact you can pay as little as $278 per month with a $300 deposit and start getting the benefits of the training now and pay it off over 12 months. Can you find other courses that are much cheaper? Yes you can. Though they’re not accredited and are typically a sales fests – let’s be honest here. Call us and have a chat with us? So if you want to get started right away and receive your Life Beyond Limits Life Coaching PreTraining Pack – you can enrol today (below) or complete the form below and we’ll have someone call you as soon as they can. Alternately, call us today on +613 8669 1121. 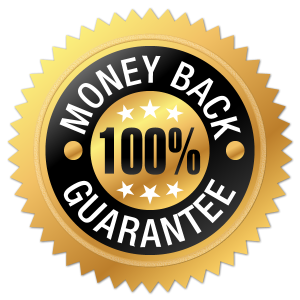 If you are seriously going to give this training program your very best effort here’s our Guarantee to you. 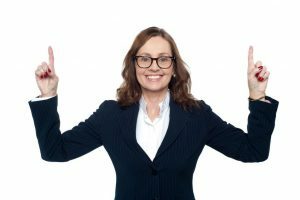 We will Guarantee a generous 30 days without risk to decide whether or not Life Coaching is for you. And if your not convinced that this program is going to make you back at least 10 times the return of your initial investment, all you have to do is send Life Beyond Limits an email that says cancel and we will give you back your money as a full refund no questions asked.